Thanks for asking. My toes are fine. Jypyä Pop (Turku, Finland) on 13 February 2017 in Animal & Insect and Portfolio. @Marjolein: It is very good thing. i am sure of it. @Wayra: We here in the cold North we do not feel the cold ... well, maybe someday. Aren't your toes frozen ? @Hiro: This guy toes do not have to worry. It will dive into the food flowing out of the water. Very sweet ... an icy one ! wow what a lovely shot and a cute title!!!!! So sweet! Ha ha.. Nature's wise. Nice catch. Good shot. I hope she isn't stuck in the ice! @beach: No worries. It searches for food in a dip in the stream of water. Who can it leave in so cold water? @Claudiel: It takes practice and tradition. 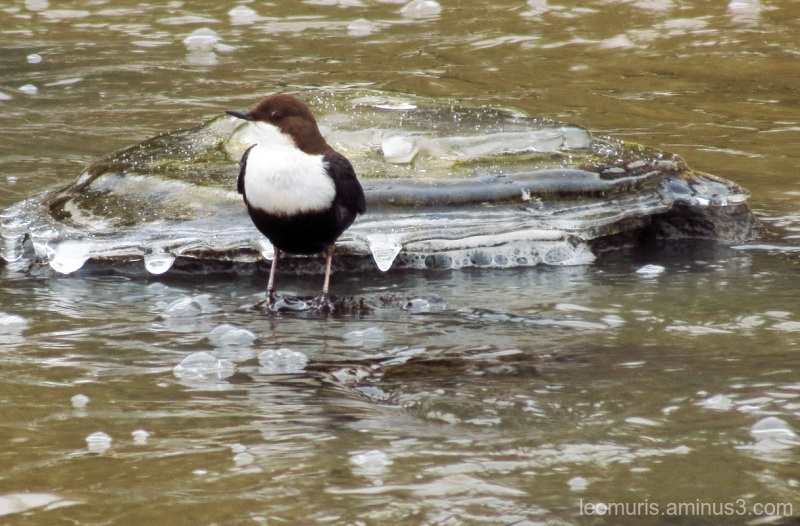 Nice shot of this warm bird in the icy water. Beautiful bird captured with great clarity!! Amazing how such small feet can handle the cold water. @Steven: It usually lives in northern Finland and Norway. There is a Norwegian national bird. It searches for food in running water diving. It will change the South to Finland October-November and return to the north in March and April. A beautiful bird and interesting rock with icicles hanging from it. The bird looks lonely, with the ice around him.